Moving and installing fine art can be, well, a fine art in itself! Buckhead Movers understands this, and we have decades of experience in the moving industry transporting and handling all types of goods. So, if you are in need of fine art installation services in the Atlanta area, then trust your precious belongings to our skilled experts. We work with interior designers, antique dealers, specialty shops, homeowners, and anyone else who might be in need of fine art and antiques transportation that will be handled with expert care. No matter why you require fine art installation, Buckhead Movers is here to help. Even if you are not sure what type of services you need, not to worry. Our installers are ready to take on the challenge of creating customized installation solutions for you, so that you can rest assured your fine art or antiques are being handled by professionals and will be displayed in a safe, secure way. 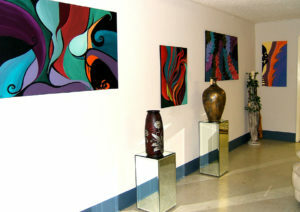 For more information on the fine art installation services we offer, contact Buckhead Movers today. We proudly serve the entire Atlanta metro area and would be delighted to assist in your project. Additionally, we offer other specialty moving services such as piano moving, crating, commercial moving, and much more.